Last week, we reported that Miramax and Weinstein Co. head Harvey Weinstein had hired a legal team in anticipation of two “bombshell” articles that were being written about him. One, in the New York Times, ran on Thursday, starting a chain reaction that led to Weinstein being dismissed by the Weinstein Co. board of directors over the weekend. The second, a New Yorker investigation written by Ronan Farrow, was just published, and it contains some very serious charges that further deepen an already horrifying situation. The article also details Weinstein’s intimidation and harassment of women, from Academy Award-winning actress Mira Sorvino to young aspiring producers looking to get their start in the film business. 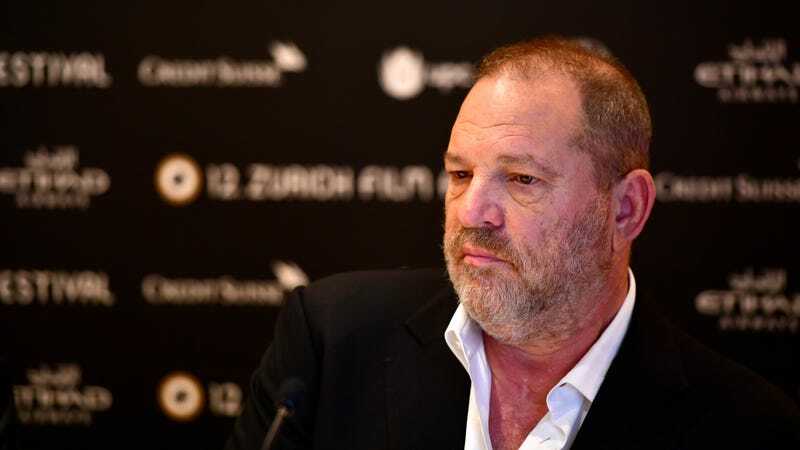 Compared to the New York Times piece, Farrow’s investigation paints a more damning picture of operations at the Weinstein Co., describing producers, casting agents, and executives—both male and female—who would initially attend meetings as a “honeypot” in order to make young women comfortable, then leave them alone with Harvey Weinstein. The chilling audio of that conversation is below, and Farrow’s full article, which is a disturbing and enlightening read, is available at The New Yorker.